Guadalajara is the city of bars, cafes and restaurants! I think you can be here for an entire year without being close to explore all of them. Here it doesn't matter what day it is, you can go out every night of the week if you want to. Many of the bars has their "special day" on which for example drinks are 2 for 1 and you need to know what day it is, cause one day it can be crowded and the next day it's empty or even closed. El Sonidero is a place we recently discovered and we have been there twice now. I think it's great because of their fun and friendly staff, their cool decoration (very kitsch! ), great music (you can dance there the whole night long!) and their tuesdays of lucha libre+cumbia! Lucha libre is a sort of mexican free wrestling/fight and it's crazy! It's a lot of show in the fights and the crowd usually gets crazy screaming bad words (but in a friendly sort of way). It's a very mexican thing you have to experience to understand. Anyway, El Sonidero makes the lucha libre+cumbia tour every tuesday. 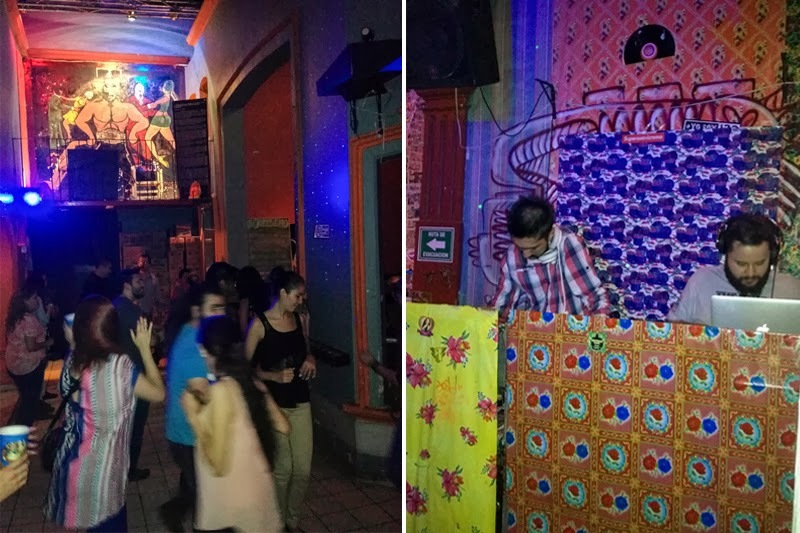 This means that for 150 pesos (around 12 USD or 75 SEK) they take you to the "luchas" with a tour bus where they play cumbia music and gives beer and then take you back to their place to dance cumbia, everything is included in the price. It's a very fun tour that I really recommend! Above from left: Jonas and Fumi from Japan, the nice german backpacker Pia. 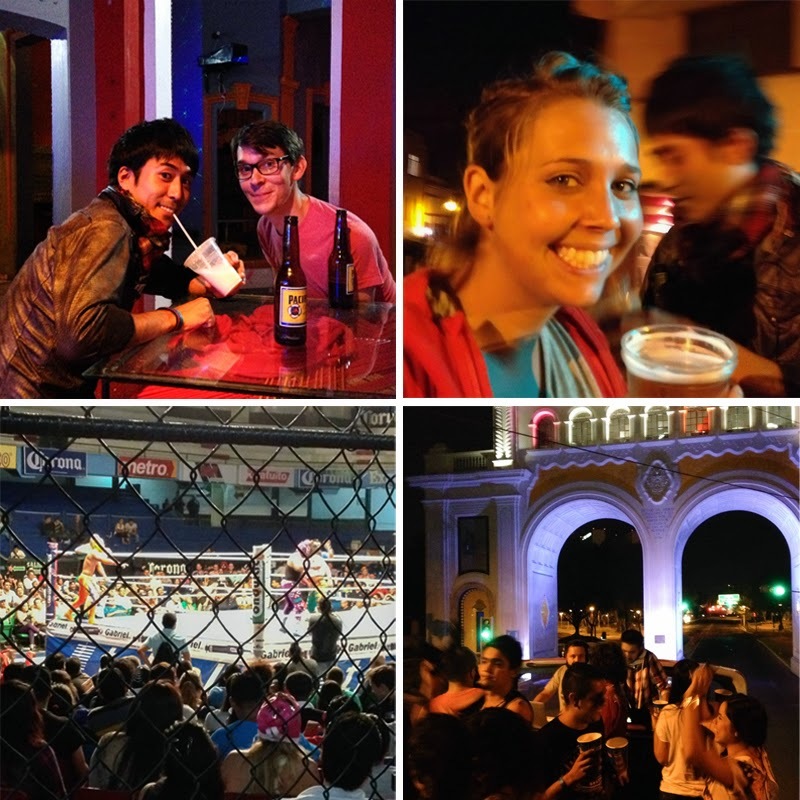 Below: the luchas arena and on the cumbia bus. 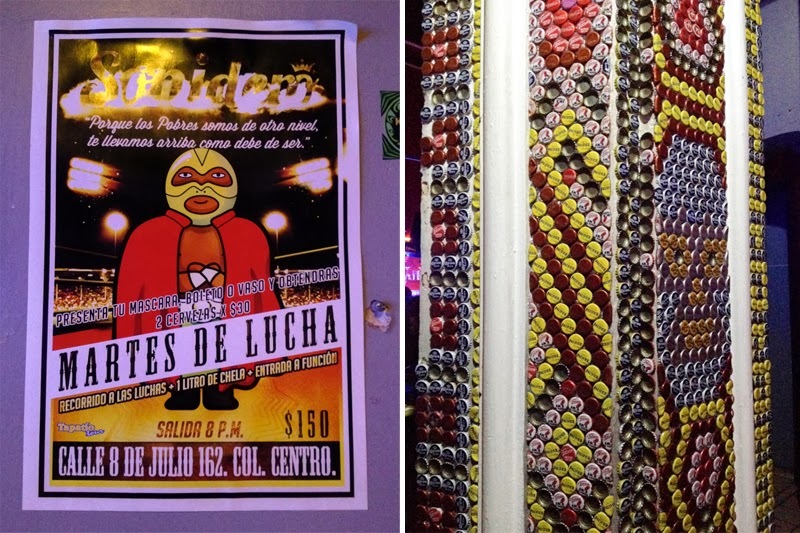 Lucha poster and parts of the interior is decorated with caps. The place is pretty small but everyone is dancing :), the decoration is very kitsch, like the DJ booth with oilcloths! Photography: Joselito Mezcal. Me and my cousin on the tour bus on the way to the luchas.